With our new iPad case with cover, your device is safeguarded by G-Form’s patented Reactive Protection Technology (RPT) - and benefits from a streamlined, iPad-worthy design. 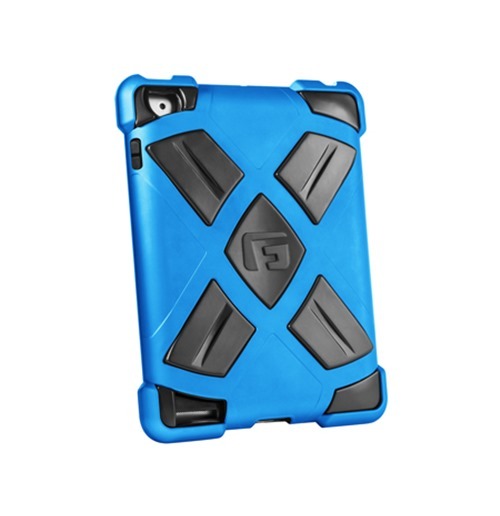 The XTREME™ for iPad also comes equipped with G-Form’s magnetic cover. Our magnetic cover is built with premium materials that give a luxury feel, while built-in magnets ensure for the utmost functionality. The cover attaches to the side of the case, ensuring constant protection from scratches while stowed away and activates the iPad’s innate sleep/wake functions. The cover also doubles as your perfect iPad enjoyment companion; type, watch, and play more securely and comfortably than ever.